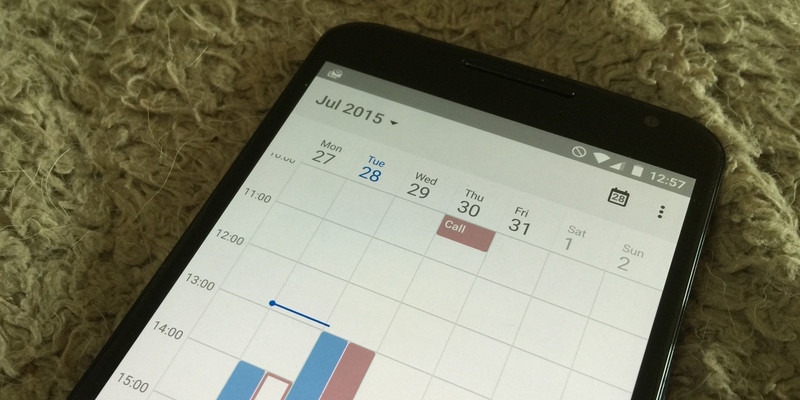 With July now fading into the distance, it’s time to look back over some of the best new and updated Android apps from across the month. From a new Angry Birds, to really handy file management tools and a live-streaming app that pretty much only wants to show your nostrils, we’ve got it all here in one handy list. 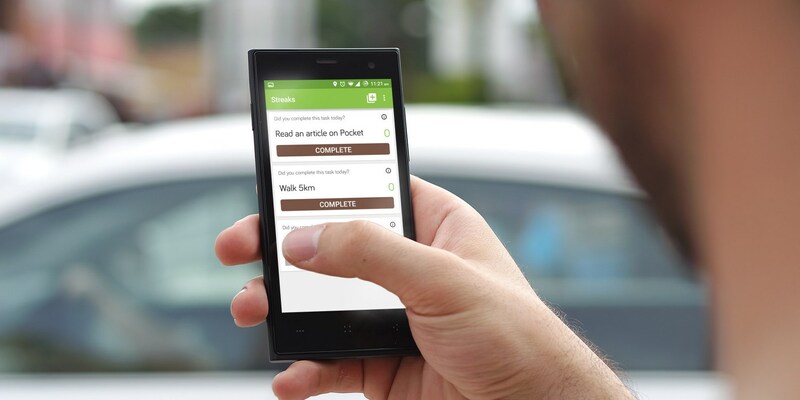 Want to know more about the best Android apps? All you need to do is peruse it at your leisure and test some of them out! It sticks with the same premise as the first game, but promises upgraded graphics, multi-stage levels and boss rounds, plus in-app purchases for upgrades. Aviate isn’t entirely new, but it did get a pretty cool update last month that delivers more contextual information to your home screen right when you need it most. 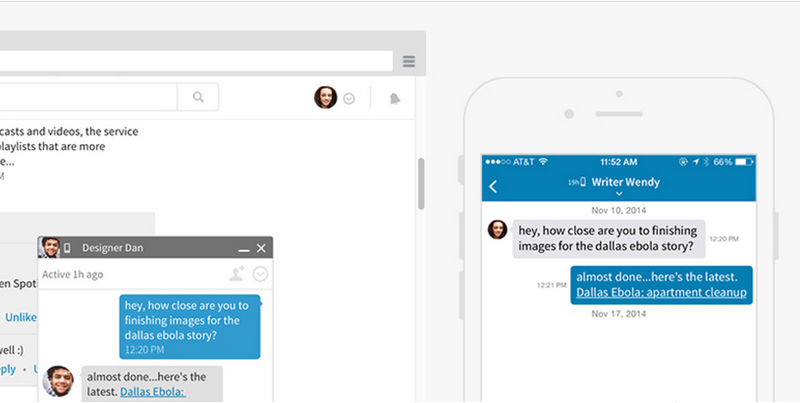 The new feature will surface apps that could be useful to you, as well as local info. Yahoo said it was only launching for users in the US, but it also appears to be supported in other countries as well. So, if you’re walking around town at lunch, it will show you restaurants, or if you appear to be travelling somewhere, it’ll show you local transit times, for example. 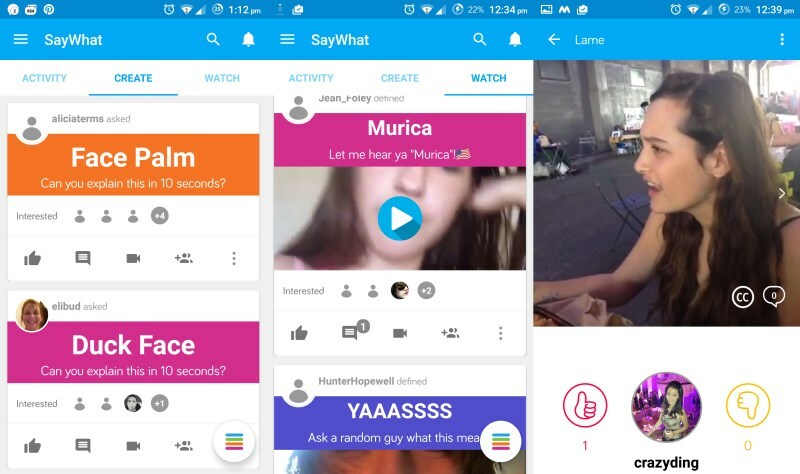 If the lexicon of the Web confuses you, and you’re too embarrassed to keep UrbanDictionary open all the time, then SayWhat for iOS and Android will keep you dialed in to the latest terms. Delivered via 10-second video clips, the definitions available via the app can be searched or browsed by recently uploaded. You can also vote, so that the community’s favorite explanation is displayed at the top of the list for that word or phrase. If getting out of bed is a chore that you just can’t seem to master, perhaps some guilt induced by Red Bull’s new Alert alarm clock will help. Set to a number of ‘extreme’ sport backgrounds, the alarm clock monitors how long it takes you to switch it off each morning and ranks how well you do against friends. I don’t need another reason to feel bad about hitting snooze, but perhaps you do. 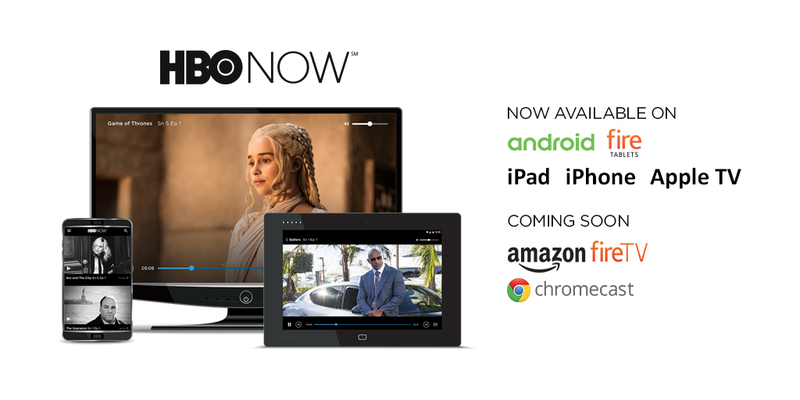 HBO Now, the broadcaster’s new on-demand viewing platform, was announced for iOS devices back in April, but it was only last month that it arrived for Android and Kindle Fire devices. It’s also headed to Fire TV too, Amazon says, so if you’ve been jonesing for a hit of ‘Game of Thrones’, you can now scratch that itch directly from your Android device. Unfortunately, this isn’t the case for Android users – the email and calendar app remain separate for Boxer’s own business reasons. The iOS version finally got Share Sheet support, allowing you to share to Convo from other apps, but then, you could already do that in the Android version. 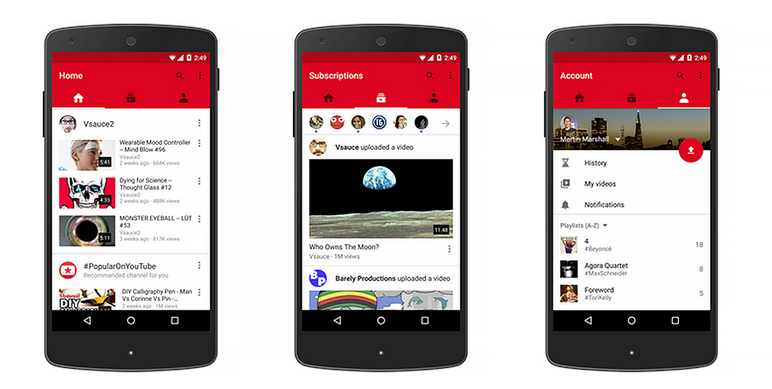 YouTube mobile got two notable updates this month. First off, it got a three-tab face lift to help you get around the app a little easier, which rolled out to iOS devices too. Alongside the new lick of paint, YouTube for Android was also updated this month to allow users to watch vertical videos in full screen. 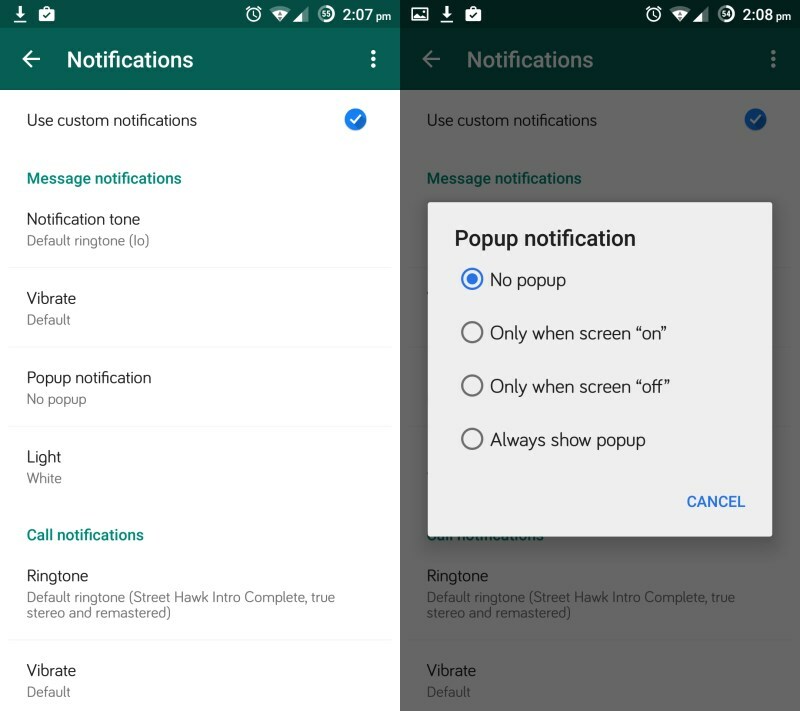 Pushbullet’s multi-platform file-sending and messaging app was updated on Android in July to bring a better messaging experience between your smartphone and desktop. While it was useful to be able to send SMS messages via the desktop before, it’s now even more useful as they’re kept in sync with messages sent directly from your phone. 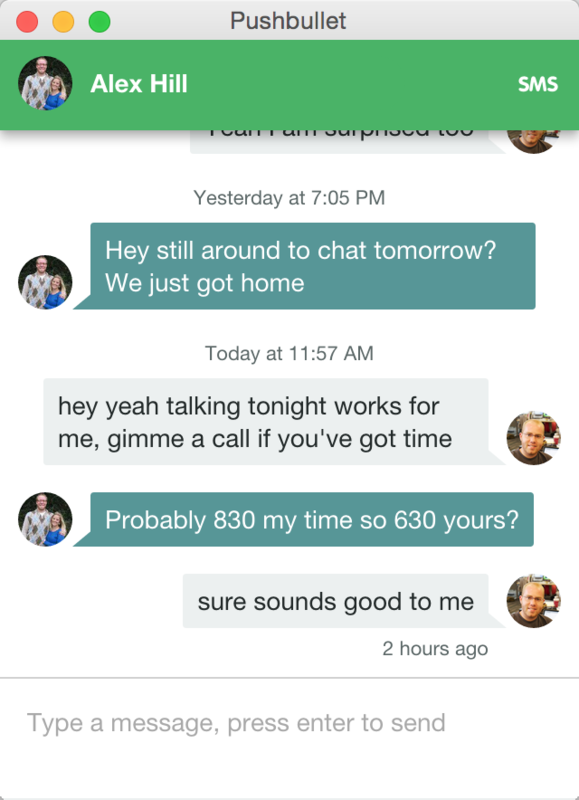 It also supports multiple conversations at the same time, and is still free. Resolving to make a change in your life is easy, but actually doing it is a lot harder. That’s the bit Streaks for Android wants to help with. Based around the idea of positive reinforcement for completing your task each day (a productivity trick used by Jerry Seinfeld), the app lets you add daily goals and asks you at the same time each day whether you’ve managed to complete it. You can set reminders too. The free version lets you add up to five tasks, but you’ll need to pay $1.99 through an in-app purchase to unlock more slots. 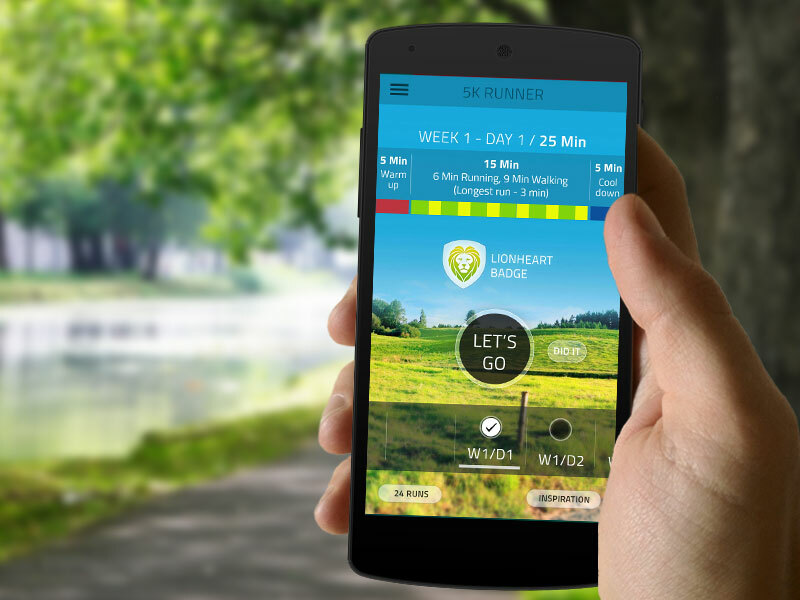 There are plenty of other Couch to 5K-style apps available on Android already, but Fitness22 (formerly Clear Sky Apps) is bringing its suite of apps to Android, and Couch to 5K is among the first. If you want to start running, but are put off by how out of shape you already are, the Couch to 5K program is a good way to remove some of the most daunting aspects of the process. You will still have to get up and run though. WhatsApp for Android was updated last month with a few new features, and one that should make keeping track of your conversations a while lot easier. You now have the option of marking an entire conversation as unread, but without affecting the status of individual messages within a chat. There’s also now an option to use less data during voice chats, and settings that allow you to assign custom notifications for contacts and groups. 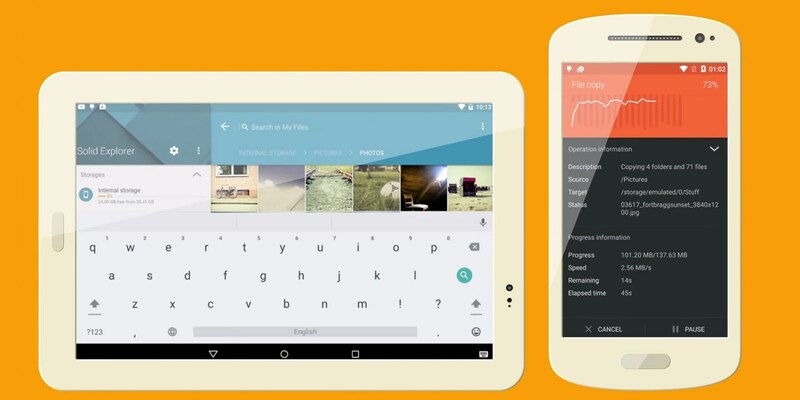 File management is dull, but it’s also pretty crucial for a lot of people, and Solid Explorer’s app for Android devices got some neat features in July. Among the headline changes are a new Material Design UI, support for casting files to Chromecast and options to connect up your cloud storage services – Dropbox, Google Drive, Box, OneDrive, Sugarsync, Copy, Mediafire, Owncloud, Yandex and Mega. Best of all though, it lets you view, move and copy files between two independent panels when your device is in landscape mode, which is pretty handy. You can use it for free for two weeks, but will need to pay around $1.75 if you want to keep using it beyond that period. 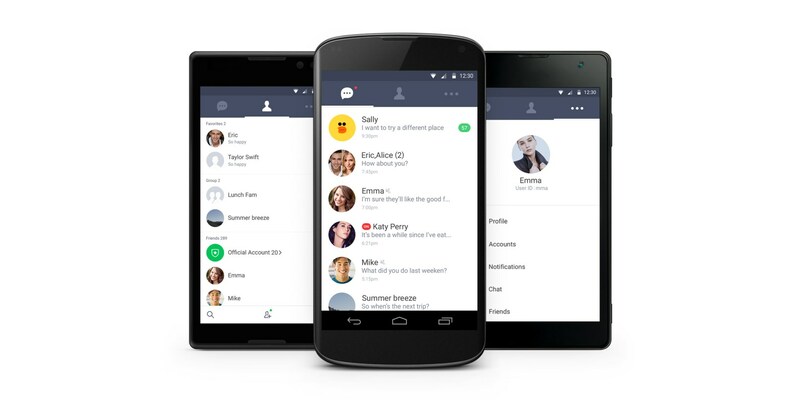 Messaging app Line has launched an Android app that promises a cut back Line chat experience. The lightweight messenger is primarily aimed at markets where data coverage and speedy transfers can’t always be relied upon. Line Lite is less than 1MB in size but manages to retain the core Line experience, with group texting, stickers and image sharing all supported. Unsurprisingly, it doesn’t support audio or video calls right now though. Booking.com’s app for reserving last-minute hotel rooms finally arrived on Android in July, having already arrived on iOS devices in January. Like many of its competitors, Booking Now is looking to tap into its loyal user base as hotel rooms are increasingly reserved from mobile devices. 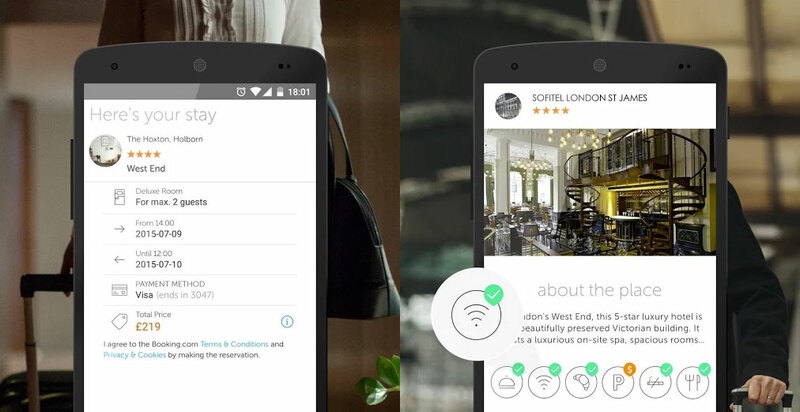 Booking Now uses your location and preferences to suggest different hotel options for you, and once you’ve decided, it will show you how to get there too. 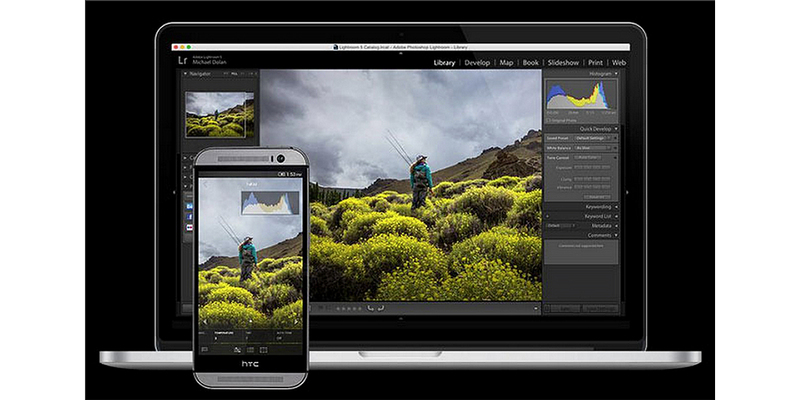 Adobe Lightroom for Android got a few new features last month, as well as some fixes for the most annoying bugs. Among the new options are the ability to copy image adjustments from one shot to another and a redesigned crop tool to allow for more control. 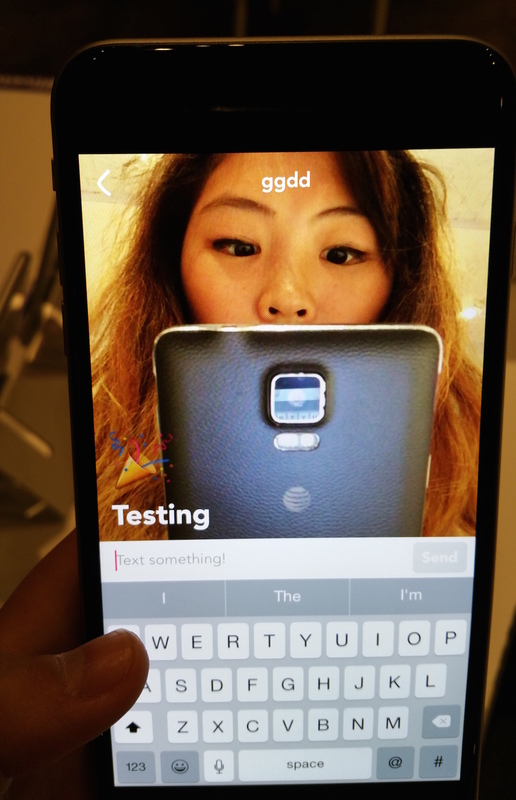 There’s also a new ‘Segmented’ view to make it easier to see and interact with all your photos. It’s available for iOS devices too. If 17 new and updated Android apps aren’t enough to satisfy your needs, check out our roundup from last month, or our 60 of the best Android apps from 2014 post. Or if you’re an iOS user, you can check out our monthly iPhone and iPad roundup.